Many of you said you enjoyed the last hop a lot - and asked when we'd do another. 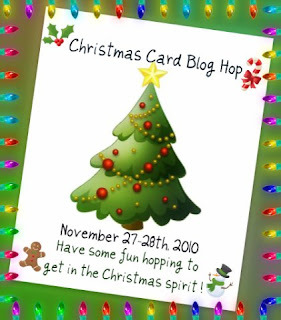 Well, OWH isn't running this one, but the S&S blog will be a stop on a Christmas card hop this Saturday! It's only 16 blogs right now - but you can join in and play and increase that number. Sign up info is below - see you there! I'm Christmas card blog hopping.